Pickware is integrated directly into the Shopware backend as the official ERP system. With Pickware, there is no need for any additional systems with error prone interfaces. You work on the real-time data of your shop at any time. 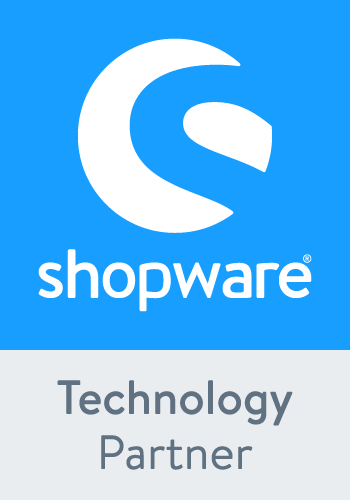 In other words: Pickware makes Shopware your ERP system! Shopware POS connects your local stores to your online shop and enables you to sell articles from your Shopware Shop directly at your local POS. Please be aware that you also have to install the Shopware POS App on your iPad. You can find the app in the Apple App Store. You can find suitable hardware for the usage of Pickware directly in our Pickware Shop. Shopware WMS provides an easy and fast solution for handling all incoming and outgoing goods with automated barcode guided processes in the warehouse. More detailed information about how to use Pickware is available in our Pickware documentation. Please follow the instructions in our Pickware Documentation. This version is compatible to Shopware 5.5 and contains all changes from version 5.5.1.0. Fixes a bug that could lead to the shop not being available after downloading version 5.5.0. This version is compatible to Shopware 5.5 and contains all changes from version 5.5.0.0. Note: In order to update to this version, Version 6.0.0 or later of the plugin Shopware ERP powered by Pickware must be installed. Enables compatibility with Shopware ERP powered by Pickware version 6.0.0. This version is compatible to Shopware 5.5 and contains all changes from version 5.4.1.0. Fixes a bug that caused the wrong currency to be shown in the cashbook report window under certain circumstances. Fixes a bug that caused the option "All" to be unavailable when selecting shop and cash register in the tab "manifested" of the cashbook report window. This version is compatible to Shopware 5.5 and contains all changes from version 5.4.0.0. 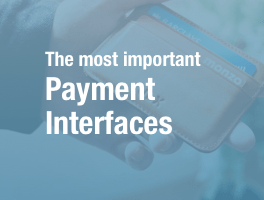 Allows configuring a payment method to use with payment terminals connected to the local network / WiFi. Now uses the end date of the previous cash report as start date and the current date as end date for the cash report. Fixes a bug which prevented the user from opening cash reports for cash registers whose name existed multiple times. This version is compatible to Shopware 5.5 and contains all changes from version 5.3.0.0. Allows adding custom translations for the Pickware POS app's user-facing texts on a per-subshop basis. This includes the fixed texts on receipts as well as those shown by the customer display. For these texts to be used, at least version 5.4.0 of the app Pickware POS is required. This version is compatible to Shopware 5.5 and contains all changes from version 5.2.3.0. Fixes a bug that may have prevented invoices from being sent automatically via e-mail. This version is compatible to Shopware 5.5 and contains all changes from version 5.2.2.0. Fixes an error which caused the app Pickware POS to crash during checkout if the Placeholder payment method for Click & Collect was also added to the list of Payment methods with payment status "open" in the plugin's settings. This version is compatible to Shopware 5.5 and contains all changes from version 5.2.1.0. Undoes an accidental change to the user interface when configuring "Information types" of the "Information required for Picking" field in the article. Fixes an error which caused too many orders to be listed in the daily closing report window. This version is compatible to Shopware 5.5 and contains all changes from version 5.2.0.0. Supports per-subshop configurability. This feature requires version 5.2.0 or later of the app Pickware POS. Adds support for exporting cashbook entries as a CSV file. Fixes an error which caused a pickware user's app PIN to be corrupted when saving that user in the backend. Fixes a bug where the document path was not resolved correctly when Shopware was installed via Composer. Fixes a bug which hid the customer number field in the customer detail view when the Shopware configuration setting "Generate customer numbers automatically" was disabled. This version is compatible to Shopware 5.5 and contains all changes from version 5.1.1.0. Prevents old versions of the POS app which are still logged in after a plugin update from creating orders, because these orders were created incorrectly. This version is compatible to Shopware 5.5 and contains all changes from version 5.1.0.0. Improves usability of the plugin's Cashbook report backend component. Improves robustness of the daily closing process. Fixes an issue which prevented the Shopware configuration options requiring additional address lines and phone numbers from being respected in the POS app. This version is compatible to Shopware 5.5 and contains all changes from version 5.0.3.0. When accepting returns at the POS the stock is no longer added to the unknown bin location, but to the default bin location or any other bin location already holding stock for the same product, if available. This version is compatible to Shopware 5.5 and contains all changes from version 5.0.2.0. Improves the error message that is shown when trying to log in using the POS app in a version older than 5.0.0. This version is compatible to Shopware 5.5 and contains all changes from version 5.0.1.0. Fixes an issue with Pickware device licensing which prevented devices from logging in under certain circumstances. This version is compatible to Shopware 5.5 and contains all changes from version 5.0.0.0. Note: In order to update to this version, Version 5.0.0 or later of the plugin Shopware ERP powered by Pickware has to be installed. Enables compatibility with Shopware 5.5. Adds the invoice document number to the daily closing overview and daily closing PDFs. Improves the error message when logging in from the POS app fails due to problems with the plugin configuration. Fixes a bug that sometimes prevented coupon codes sent via newsletter from being redeemed at the POS. Fixes a problem that caused invalid double-opt-in confirmation links to be generated when signing up customers for the newsletter from the POS app. Fixes a bug that could have caused the Shopware backend to not be available anymore under some circumstances. Note: This plugin version requires at least version 4.0.32 of the plugin "Shopware ERP powered by Pickware" to be installed. Adds support for printing customer loyalty cards from the backend. Prepares support for version 4.7.0 of the POS app. This version adds an option to the customer creation dialog which allows earmarking the customer for customer card printing in the backend. Improves the contrast setting of customer displays connected to the mPOP. Adds an option to download a zip file of multiple cash reports from the manifested cash reports view. Prepares support for version 4.5.0 of the POS app. Improves compatibility with plugins that modify the behaviour of number ranges. Fixes a bug that could occur when printing barcode labels. Fixes a bug that prevented the plugin from being installed. Fixes an error that might have crashed the shop. Fixes a bug that prevented customer group specific prices and discounts from being applied correctly when repeatedly performing a checkout. Prepares support for version 4.3.0 of the POS app. Adds support for configuring a logo image which will be printed in the header of the cash register receipt. This feature requires version 4.3.0 or newer of the POS app. Fixes the stretching of images on barcode labels. Fixes an error that occurred when printing bin-location barcode labels. EANs are now printed as actual EAN-format barcodes. Adds templates with half-length barcodes. Fixes a bug that resulted in wrong stock entries being written when selling a set article and additionally one of the products that is part of that set. Improves compatibility with the plugin "Set articles". Allows the customization of size, layout and content of product labels (Items > Barcode label printing > Barcode label configuration). Prevents duplicate orders from being created when a sale is retried from the "Pickware POS" app after an error occurred. This feature requires version 4.2.0 or newer of the app "Pickware POS". Fixes a daily closing report rounding behavior that was inconsistent with Shopware. Note: In order to ensure rounding is consistent between the app "Pickware POS" and the Shopware backend, please also update the app "Pickware POS" to version 4.1.0 or newer. Fixes an error that occurred when emailing the sales receipt to the customer during checkout in Shopware versions prior to 5.4. Fixes an issue that prevented the cash balance summary from being shown in the backend view of the cash report when no transactions were recorded in that cash report. Fixes an issue that caused cashbook reports to have an incorrect date range when no transactions were recorded in that cash report. Fixes a Shopware 5.4 compatibility issue that caused an exception when the invoice is uploaded during POS checkout. Improves compatibility with Shopware 5.4. Prepares the configuration field for an app feature which allows disabling the stock warning. Employs a workaround for compatibility issues caused by the Shopware Security plugin, which occurred during the installation and update process of Pickware POS. Fixes the list of POS orders in the store front user account. Fixes an error in the POS checkout that occurred, if at least version 4.0.0 of the plugin "Bonus-System" is installed. Fixes an error in the checkout of the POS app. Note: This plugin version requires at least version 4.0.4 of the plugin "Shopware ERP powered by Pickware" to be installed. Fixes an error that might have occurred when loading products in the POS app. Remove cash withdrawals and deposits from POS revenue reports in the Shopware reporting module. Increases precision of sales ratio in "Per-cashier revenues" report. Fixes a bug that caused discounts and manual articles to not be included in the VAT table on receipts. Fixes an issue that caused the apps to always show the pictures of the main variant for all variants of a product. Note: This plugin version requires at least version 4.0.0 of the plugin "Shopware ERP powered by Pickware" to be installed. Adds support for chaotic warehousing (this means that one product can be stored on multiple bin locations within the same warehouse). Fixes an issue where deposits and withdrawals were labeled incorrectly in the cashbook report. Prepares support for the Pickware POS app version 2.16.0. Improves the English translation of the plugin configuration. Adds an English translation for the plugin configuration. Adds support for exporting the original invoice number for cancelations when using the plugin "DATEV Export". Using this feature requires the POS app version 2.15.0 or later and version 1.11.0 or later of the plugin "DATEV Export". Fixes an issue that caused duplicate tax rate sections in the daily closing report. Fixes broken barcode label PDF output (Shopware 5.3). Improves the performance of loading products in the POS app. Attention: This update requires Pickware ERP 3.2.43 or newer. Prepares support for the Pickware POS app version 3.15.0, which adds support for click & collect. Now supports configuring payment methods in such a way that POS orders are created in payment state "open" when using these payment methods. Now supports entering the number of the original invoice for returns. Improves the quality of thumbnail images in the media album "Pickware Returns". Fixes a Shopware 5.3 compatibility issue that occurs when generating bar code labels. Fixes a problem with downloading bar code label PDFs, which occurred for some users depending on server configuration. Fixes an issue that occurred when opening the bar code label printing view after a customer group was deleted. Fixes an error that occurred when opening the barcode label printing. Shows deposits and withdrawals separately from turnover in the cashbook reports. Improves compatibility with other VIISON plugins. Improves compatibility with the plugin "DATEV Export". WARNING: Performing this update will close all open cashbook entries. Please review the documentation chapter on cashbook closings for details. Improves the migration of open cashbook entries to the new cashbook closing process for some corner cases. Adds support for closing the cash balance from the app. Adds the analytics report "Cash register revenues". Improves compatibility with console commands. This fixes an issue with cache warming. Improves the transfer of receipt data to the plugin "DATEV Export". Prepares the support of the plugin "fiskaltrust for Pickware POS"
Configurable pagesize in the label printing dialog. Adds support for partially cashing gift vouchers generated by the plugin "gift vouchers". Note: This plugin version requires at least version 3.2.20 of the "Shopware ERP powered by Pickware" plugin to be installed. Fixes a compatibility issue in the release before. Fixes a compatibility issue between different versions of Pickware Mobile and Pickware POS. Fixes some problems with barcode printing. Note: This plugin version requires at least version 3.1.0 of the "Shopware ERP powered by Pickware" plugin to be installed. Note: Starting from this version of the "Pickware POS" plugin, the minimum required version of the plugin "Shopware ERP powered by Pickware" is 3.0.9. Improves the compatibility with the POS app. Note: Starting from this version of the "Pickware POS" plugin, the minimum required version of the plugin "Shopware ERP powered by Pickware" is 3.0.6. - The following new barcode label formats are not supported: "EBL 3x7" and "EBL 4x10"
Easily create UPS shipping labels directly inside your Shopware Backend.